announcement that the Farmer Fair Practices Rules have been released by the U.S. Department of Agriculture (USDA) Grain Inspection, Packers and Stockyards Administration (GIPSA). "These rules are designed to level the playing field for family farmers and ranchers who raise livestock and poultry. These rules give producers protection against unfair or discriminatory contract practices and two proposed rules that provide oversight for pricing and payment practices," Sombke explained. "Across the board these rules are designed to provide fair price protection, but especially for those farmers who raise poultry or swine, which are heavily concentrated." He explains that today, 51 percent of all boiler markets and 57 percent of turkey markets are controlled by four processors. 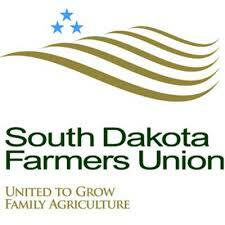 Sombke's comments echo those of National Farmers Union President, Roger Johnson. "For too long, family livestock producers and poultry growers have endured a heavily concentrated market with little protection against unfair, anti-competitive practices. We are glad that this important set of rules is finally moving forward," said NFU President Roger Johnson. "While the Farmer Fair Practice Rules do not fix all of the fraudulent practices in the livestock and poultry industries, these rules are certainly an important step in the right direction." "Both producers and consumers benefit when the markets are competitive and the practices and process are transparent. We look forward to thoughtfully reviewing the published rules and providing feedback to ensure the final rules will work for family farmers," Johnson said. Moving forward, Sombke said the question will be whether the Trump Administration will follow through and support the Farmer Fair Practice Rules.